1AVMonitor is a surveillance tool that monitors any audio video source present on your PC. The software publishes a secure web site that you can login to from anywhere and have access to real-time video, slideshow of captured activity, and the keystrokes the user pressed. 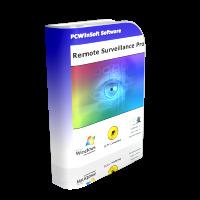 Here is a list of 1AVMonitor capabilities: remote surveillance software for PC, spy webcam with microphone, microphone surveillance pc software, remote desktop surveillance.